If you've been using Gmail for a long time, chances are good you've accumulated a lot of e-mail. 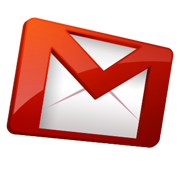 In fact, it's not uncommon for a Gmail inbox to accumulate hundreds, thousands, even tens of thousands of messages. Indeed, at last count, one of my older Gmail accounts had nearly 33,000 of them (and still I'd barely used 20 percent of my available storage--gotta love Gmail). In the "Has the words" field, type before:2011/01/01. That's just an example date; it would archive all messages received prior to January 1 of this year. You can use any date you want, as long as it conforms to the format YYYY/MM/DD. Check the box marked "Skip the inbox (Archive it)," then check the box for "Also apply filter to ### conversations below." When it's done, your inbox should be significantly smaller. Remember, you haven't lost anything; you've simply relocated old e-mail. Those messages will still appear when you search your Gmail account. When it comes to image editing, on one hand, I'm a big fan of free and open-source Photoshop alternatives like GIMP and Paint.NET. On the other hand, I'm also a big fan of software that lives inside your Web browser, which is why I'm increasingly turning to Sumo Paint for my image-editing needs. 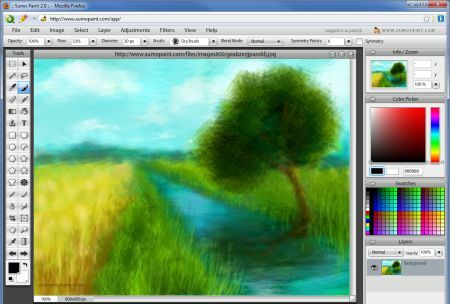 Sumo Paint is not only free, but also entirely browser based. There's nothing to install (except for Adobe AIR, which is the platform on which the software was built); you just head to the Sumo Paint site and sign in to your account.